When you think of CDs, you might give a little laugh at such a retro device, but you might be surprised to learn that physical sales are still pretty high and compact discs aren’t going anywhere just yet. When your digital library malfunctions, you end up with no music, and sometimes songs sound best when they are played directly from the disc. Either way, it’s always a good idea to have a CD player in your life, and they are pretty fantastic and reliable devices. They might not be compact and all about the cloud, but they do play your tracks with seamless effort, and many of them even have brilliant additional features, like recording, to make your listening experience a more enjoyable one. Of course, we get the importance of having a budget as well, and that’s why you will find that this guide has made sure to keep that in mind. We know it’s not easy to pick a CD player or know what’s right for you, but we are here to give you a hand with things. 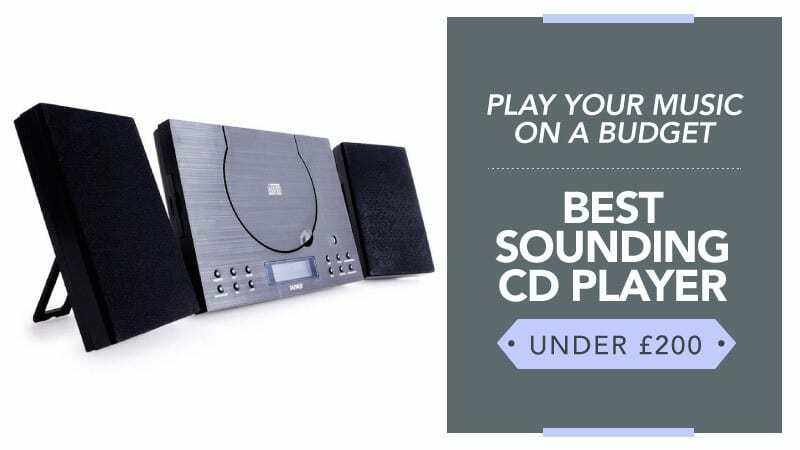 In order to help you find the best CD player under £200, we have put this guide together, compiling all of the relevant CD player under £200 reviews in one place, so you can find one that truly rocks your world. Alondy is a great name to go for, and when looking for a high-quality car CD player, you might want to look here first. It’s ready to take the discs you love most and play them whenever you hit the open road, so take a moment, sit back, and read through the reviews for this CD player below. This CD player is suitable for installation in all cars, you just need to check the dimensions before you pick it up. It also comes in black, with a sleek design that blends in with any interior perfectly. It supports all forms of CD as well, giving you an unlimited choice when it comes to selecting your tunes, and the sound quality is excellent for a truly immersive music experience while you drive. Additionally, there is also an AUX that will allow you to plug in your smartphone or other device so that you can stream music directly from it and through the CD player. There is also the added benefit of the FM radio that has been included, in high-definition, so you can flick through the stations if you don’t feel like listening to your CDs. Plus, you can adjust all of the controls for the ultimate sound. The supplied AUX cord is very short, so you may want to purchase one of your own. 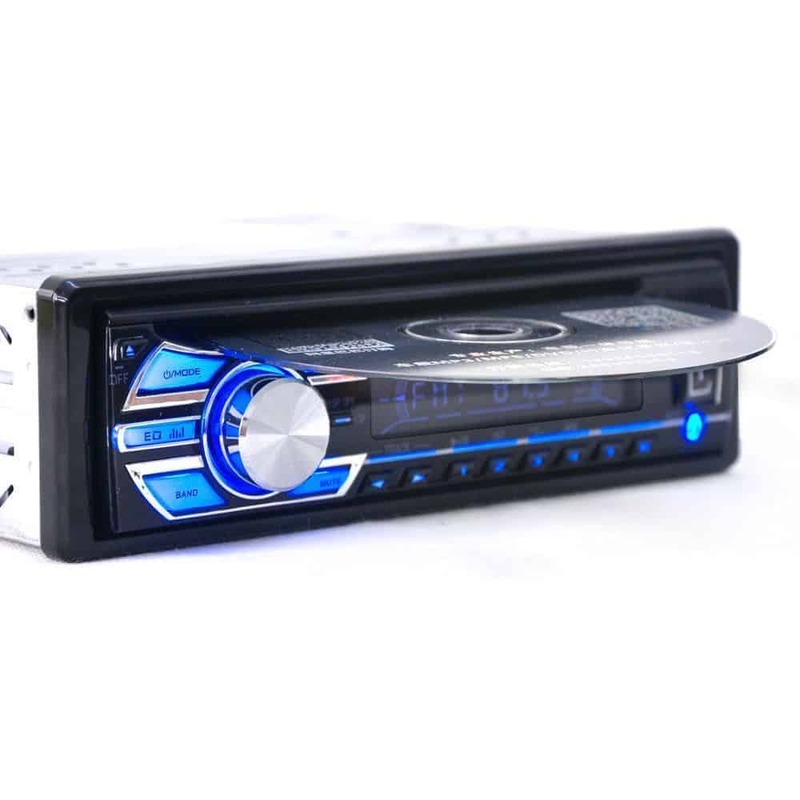 This car CD player comes at a cheap and affordable price, making it great for those who are on a budget and don’t want to spend a fortune on a car radio. While the AUX cord is very short, there is always the option to buy one of your own (they are very inexpensive) so that you have longer reach. With FM radio included, as well as the option to stream music from your phone, it has everything wrapped up in a neat little package. Marantz is also a fantastic brand, and one that you are sure to love – especially if you’re searching for a budget CD player that you can use in your home. After all, the time of the physical CD isn’t over just yet. Take a moment to read the reviews below and see if this is the model for you. 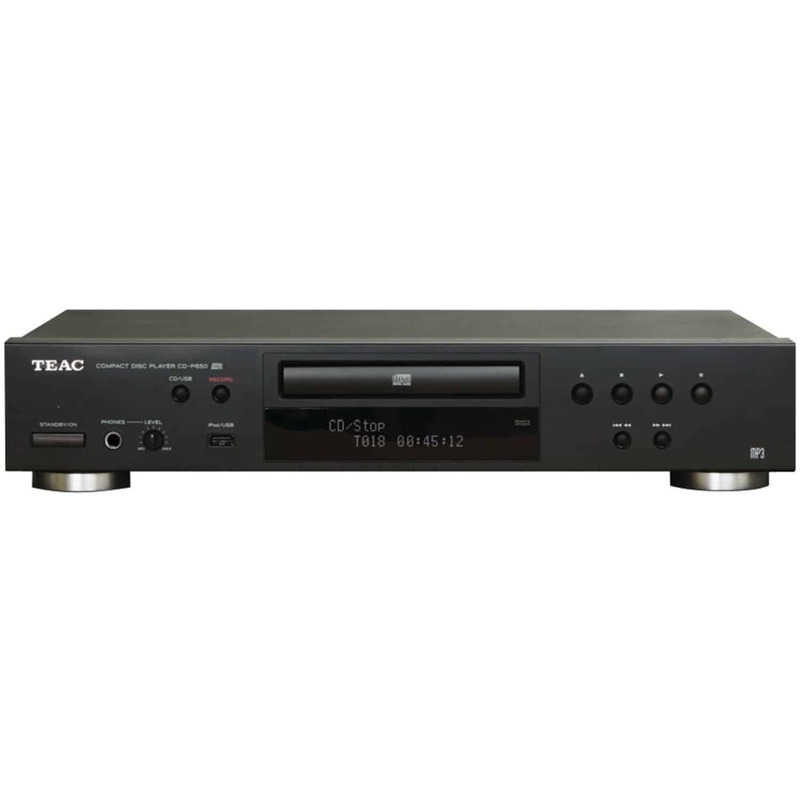 This CD player comes in black, with a low and slim design that leaves it looking great and able to slide into your home. It works well with any interior design, and there are feet on the base to keep it steady and prevent scratching your furniture. It can read all CDs, as well as MP3 and WMA files, meaning that you get the full musical experience with this nifty model. It also has a standby feature as well as a low power mode to save energy. There are a number of customised components and controls on it, allowing you to adjust the tuning and the overall sound so that you get to listen to your favourite songs just the way you like them. There is a range of features, like the shuffle and auto-play buttons to keep things interesting, and the sound quality is great due to the enhanced connectivity, and there is even a headphone mode. The remote is packed full of buttons that you don’t really need, which can be a little confusing. This CD player comes at a reasonable price, and it also comes from a trusted brand, so you know that you are getting something good. While the remote is a little overwhelming and can take some getting used to, the buttons you need become clear over time. There is a whole load of great features available for you to play with in order to have the best possible time listening to the music that you love the most. It’s one of the best out there, and you are sure to love using this model. 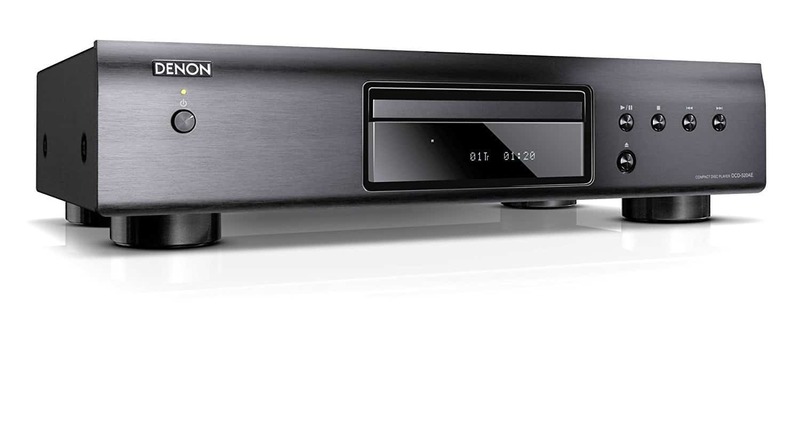 Denon is another excellent name to go with, and one that you would certainly not regret taking a closer look at when you get the chance. We all like a good deal, and this CD player comes at a great price. If you think this could be the one for you, take a look below and see what you think of it. This CD player may be a little chunky, but it is also low and long so that it can fit in with the rest of your technology. Plus, it comes in black in order to match nicely with the rest of your home – making it an aesthetically pleasing choice. There are also little feet to prevent scratching and movement. It can play all forms of CD as well, meaning that you have full access to the songs you love the most. The sound quality is excellent, and the controls on the player allow for adjustment if and when you need it for a more personalised experience. It is also resistant to vibration as it is off the ground, for a smoother and cleaner audio when you are playing tracks. It also has low power consumption to save you energy, as well as a standby mode that ensures even less, is taken up when not in use. Some customers found the controls and functions to be quite basic. This great little CD player comes at a good price and from a trusted brand, making it a great and reliable piece of kit to have in your home. While some customers have found the controls and functions to be very basic, there are others who love the simplicity of this device – so it is all down to your personal preferences. It is great for those who want to save energy with the low power consumption, and it will happily play all of your discs with no issue. It really is a top budget model. Here are some further models of CD player under £200, just in case the ones above do not quite meet your requirements. This model of CD player comes from a trusted brand and in a dark black that will match the rest of your tech nicely. It has a robust and durable build, with cylindrical feet to keep it steady and prevent damage to your surfaces. It has a whole range of functions and features, from recording and sound adjustment to repeat and shuffle. You can even dock your iPhone or iPod using the USB port at the back, and it is capable of reading CD, CD-RW, and MP3 discs, leaving you able to play a whole variety of tunes. The LCD screen is clear to read, and most of the functions are completely programmable by you for easy use. Another big name, Numark has it all if you are looking to become a DJ or try it out as a hobby. It comes in black, which makes for a sleek and modern design that will blend in nicely with the rest of your kit. It is also very robust and durable, so it can withstand a little rough and tumble. It has loads of great features like scratching and seamless loop, alongside an auto BPM counter and master tempo. You have the choice between 4, 8, 16 and 100% pitch control, as well as balanced XLR output and ID3 tag folder support/RCA. With CD and MP3 support, it has everything you need to get started mixing those tunes and throwing out fresh beats for your audience. Hopefully, this guide has helped you to find the best CD player under £200, and that the CD player under £200 reviews have given you a little assistance when it comes to figuring out which one is going to work best for you and your situation. Whether you are in search of something high-tech and filled with features, or just want a model for the inside of your car, we have you covered with the products in this guide. Everything has been carefully chosen to ensure that you are getting what you need for the best possible price – because we know the importance of grabbing a bargain. With top brands and excellent reliability, we know that at least one of the models here is absolutely perfect for you and your needs. 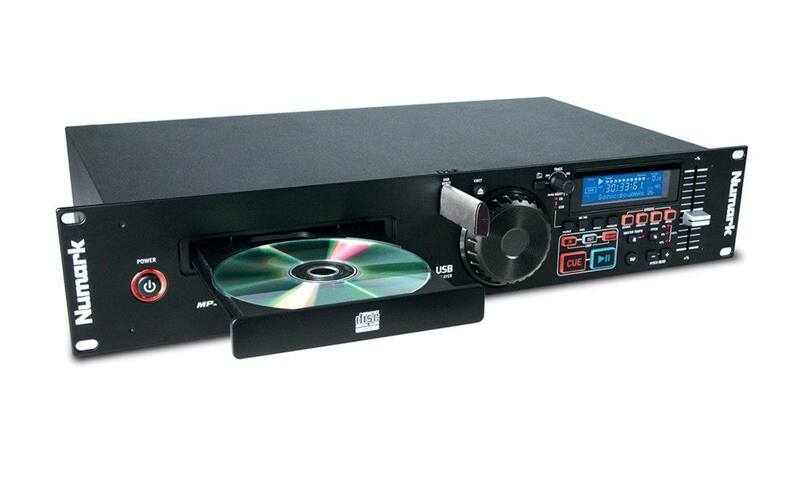 What did you think of our CD player guide? Are there any that you would have liked to see or recommended? We love hearing from you, so make sure to leave us a message in the comments below.